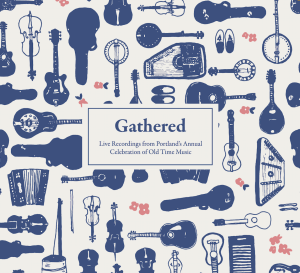 Portland Old Time Music Gathering | Coming Back January 15-19, 2020! 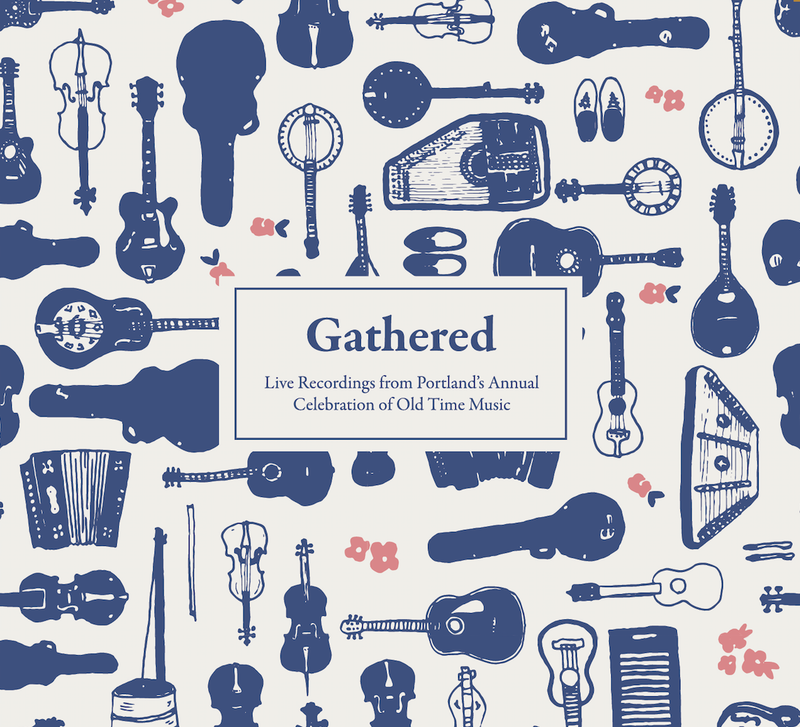 The 2018 Gathering marked the release of “Gathered,” a two-disc compilation album featuring nearly 30 tracks from top Gathering concert performers going back to 2005. 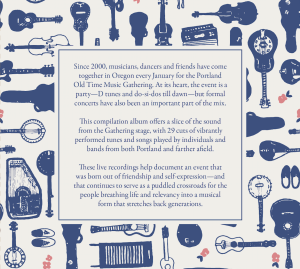 Old time music lovers can now purchase the beautiful CD with complete liner notes or download this limited-edition offering online at www.gatheringmusic.org thanks our partners at Indy Music Sales. Thanks for coming out for our 18th Gathering everyone. We had a great time and hope you did too. TBA. We are arranging another great artist for next year. Check in later for details. We again have some venue changes for 2019. Velo Cult has closed it’s doors, so this year we will host the Square Dance on Wednesday night at the Village Ballroom on Dekum. There will still be a jam at Moon and Sixpence that night – unfortunately, they won’t be right across the street this year. The Sunday Cabaret will be back at the Spare Room by popular demand , and the closing Sunday Square Dance, presented by Portland Squares, will be in it’s usual location at the Village Ballroom. Check out the Performer Tab above for a complete list for the 20th annual Gathering! Follow us on Facebook (Portland Old-Time Gathering) to get the most current announcements, postings of photos and videos, and to stay in touch throughout the year! The Gathering is sponsored by Bubbaville, a non-profit, all-volunteer arts organization that supports old-time music and dance in Portland, Oregon. 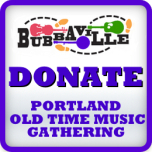 Donations to Bubbaville help to guarantee such events as “The Portland Old-Time Music Gathering”. 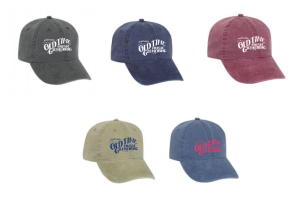 We provide some financial and logistical backing for musical endeavors that we have determined to be important to the further development and enrichment of the local old-time music community. Visit our website for information on other events Bubbaville supports. 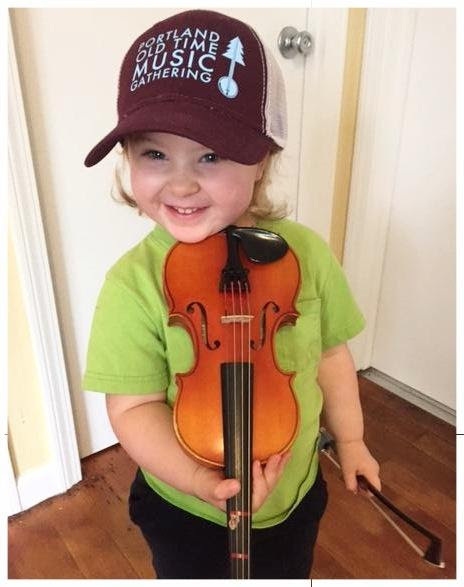 Your donation to help fund The Gathering and other worthwhile old-time music and dance efforts does so much more than provide operating funds for current events. Your generosity will ensure a long-term positive effect on old-time music and dance in the Nortwest. What we do today will enrich the world our children inherit. Our gift to them will be a legacy of wonderful music and dance. Clicking the button below will enable you to make your donation through Paypal. The Portland Oregon Old-Time Music Gathering is a grassroots volunteer-run festival that aims to celebrate and enrich the community of traditional old-time Appalachian style stringband musicians. We wish to create an environment where the music is as meaningful as it is when we gather to swap tunes and play in a friend’s living room or meet to play at a campsite during a summer festival. As such, we feel that it is important to keep the event non-profit and volunteer run; whether we are taking tickets, sweeping the floor, organizing an event, or playing music for a concert; we are all volunteers contributing to make this thing happen.